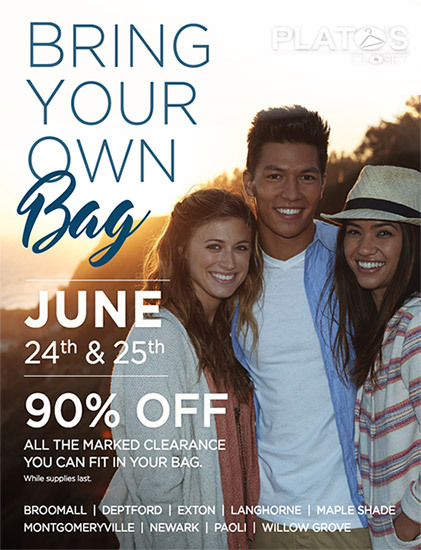 Come into Plato’s Closet this Friday & Saturday (24th & 25th) to get 90% off all of the marked clearance you can fit in your bag. Bring your own bag and fill it with as much clearance as you can! Check the Plato’s Closet Paoli website for the latest specials.